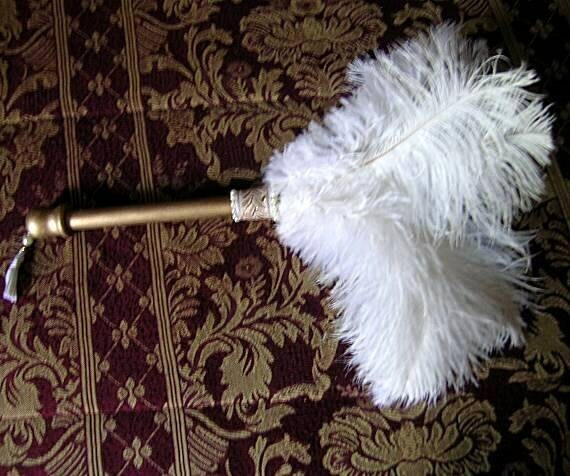 This fan is made like a feather duster with ostrich feathers attached around a round wooden dowel. 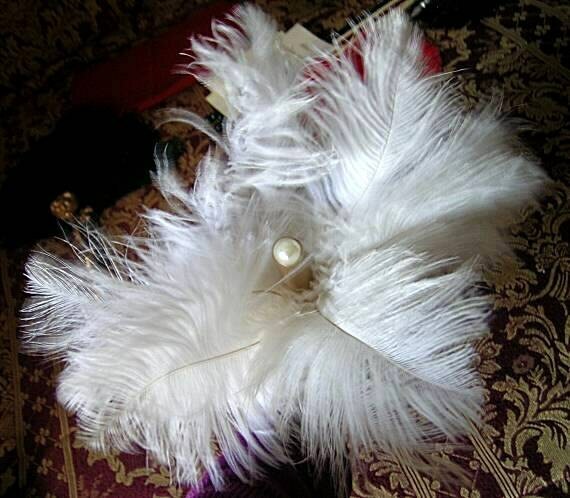 The feather ends are covered with a metallic trim that is edged with pearls. A pearl cabochon covers the end of the dowel on the feather end and the other end has an 1" end cap with a pearl and tassel. The 5/8" diameter wooden dowel is painted with gold metallic enamel. The fan measures approx. 16' including the 7 1/2" handle, excluding the tassel. This was a limited edition item for a special display and is no longer being made. There was only one white whisk in stock. There is also a black one available. We ship via USPS Priority Mail - Insured so that you will receive your purchase in 2-3 days once the package is posted, plus you can track it on-line. HISTORY NOTE: During the 16th century, the personal fan became an indispensable part of the costume of the high-born ladies and reflected the costliness of dress popular during this period. 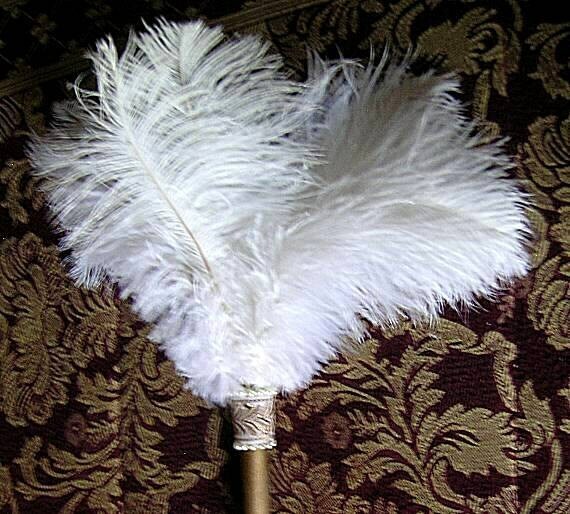 One of the most common forms was the tuft fan made of feathers. These fans became works of art using a wide variety of materials for construction and adornment. 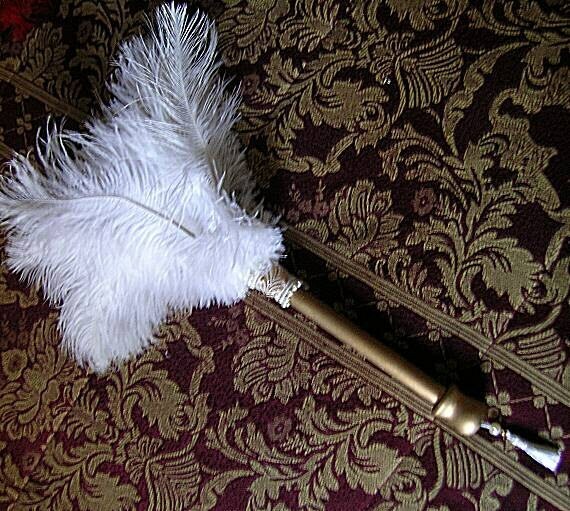 Peacock and ostrich feathers were the most popular for the tuft fans, with handles of wood, metal and ivory. They were adorned with mirrors, gold, silver, pearls and other precious and semi-precious jewels. Other feather fans can be found in our Flag Fans and Feather Fans Section.